We’re delighted that Jo Johnson from London Symphony Orchestra will be joining us for Culture Geek London. Jo is the Senior Marketing Manager for Digital Communications, with overall responsibility for strategy and content production and dissemination on the Orchestra’s website and microsites, e-marketing, social media and mobile platforms. We caught up with Jo recently to talk about her work at LSO and why we need to embrace failure. 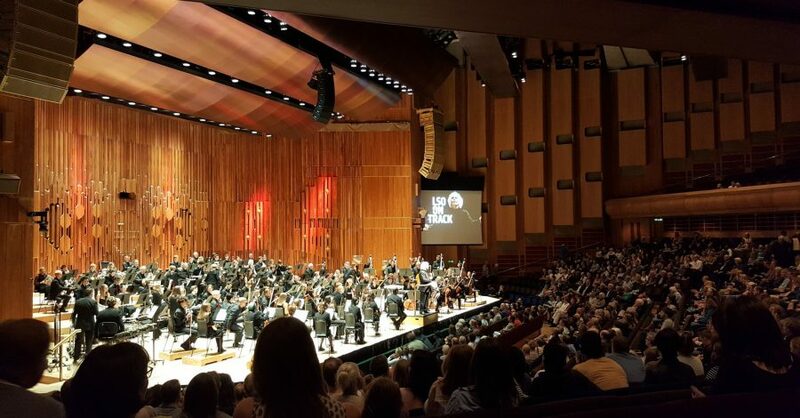 What does a day look like for you at London Symphony Orchestra? To be honest, it could be almost anything! I usually start by going through our social networks to see what’s gone on overnight and replying or sorting out anything that needs it. Then it’s on to getting content for that day up – it could be something already prepared, or something that I still need to make. In which case, I’m down with the orchestra taking photos or videoing stuff, or editing, or writing, or… you get the idea! I might be training a new member of staff on our website CMS one minute and then hunting for guests for our next backstage live stream the next. And meetings… oh there are a lot of them – I spend quite a bit of time talking to new connections and exploring possibilities with new partners. Lately a cross-company working group has been trying to get to grips with GDPR and the impact that’s going to have on our work, which if you haven’t yet started upon you really should as it’s going to completely change the world and you won’t want to be left behind or you’ll be in trouble. Then perhaps at the end of the day it’s downstairs to the concert in the Barbican, either on guest ticket duty rota (shared with my Marketing colleagues) or doing some social media. Or if I do go home and there’s a concert I’m back on social media enthusing about what’s going on from afar. It never stops! There have been lots of changes in the digital landscape over the 12 years you’ve been at LSO, what’s impacted your work the most? Social media and content, absolutely no question. From nothing at all in 2005 when I joined to basically ruling my waking hours. Just when you think you know what you’re doing, it all changes again. Even from day to day there are subtle shifts in what you should be doing or saying. Social media has changed the way we live and work, and the arts have not always been comfortable with the new and easy ways to duplicate and share content – especially musical and artistic works that are copyrighted. You’re talking about failure at Culture Geek which can be a bit of a taboo subject, why do we need to embrace it? I think there is far too much emphasis these days on being perfect but not enough on how to cope when things don’t go right. We seem to have to make sure that everyone feels like they have done a great job even if they have only ben mediocre – I’m thinking about changes in competitive sport at school, for example (am I sounding middle aged yet?!) – so that people are unprepared for some harsh realities when they get into the world of work. I don’t think it’s right that we should pretend that everything goes perfectly in our jobs, because it really doesn’t! We should be able to be honest about our mistakes and learn from them. If we can admit to each other that sometimes we didn’t get it right and what happened as a result then I think we get stronger, are less ashamed, are more supportive of others… so many benefits. I’m not advocating sloppy work, far from it. If you know you did your best and yet it didn’t work then you have nothing to be ashamed of, but it you were lazy and didn’t try, then more fool you. There’s your mistake. Try harder next time! People are afraid to talk about their failures, but it’s invaluable to do so. How can we encourage people in the sector to open up about things going wrong? It needs to be done carefully and in a closed and supportive environment. The trouble is that people think they will be judged – either their own personal brand or the brand of their company will be damaged by the revelation that there were things that didn’t work. So if we can come to conferences and say to each other that things will stay within this room, then it becomes more like a therapy session! We can all going away knowing that we are not alone in not always being perfect and that if you make a mistake you can and will survive. We’re not doing brain surgery after all! We’re lucky to work in an industry that creates things that people – our audiences – love, and are therefore more likely to tolerate and forgive the occasional slip up. At the end of the day, no one (probably… hopefully!) died. Jo Johnson will be speaking at Culture Geek London on May 9th 2018. To find out more about the conference and book your tickets click here.